Young people often struggle with grief following a loss, but a new app, Apart of Me, could help change that. Tine Steiss sat down with co-founder Louis Weinstock to find out more about this exciting project. Louis Weinstock is the co-founder of Bounce Works, a London-based social enterprise that creates connected products to help kids thrive. Apart of Me is its latest project; a safe virtual space to help young people deal with grief. Designed by experts in child psychology and bereaved young people, Apart of Me is a ground-breaking mobile game which helps young people cope with life-limiting illness, death and loss. It enables users to record and securely store memories of loved ones, build emotional resilience, and turn their suffering into a source of hope for others. The game was launched following a successful crowd-funding campaign in 2017. We sat down with Louis Weinstock to find out more about this now award-winning project. How did you come up with the idea for Apart of Me? Louis Weinstock: “I was working in St Joseph's Hospice in Hackney (London, UK), counselling both families where a parent had a terminal illness and also bereaved young people. I saw how the young people I was working with were just a tiny fraction of the numbers of young people around the world dealing with the death of a loved one without the means or support to process their often very difficult feelings. Is it in any way comparable to the movie Inside Out, which was an excellent way to engage children in talking about emotions. “I loved the movie Inside Out. And in some ways using an animated medium is the best way to teach anyone about emotions, never mind just children. We do have a 'cave' in the game where the user catches fireflies in a net, and each firefly represents a different emotion. “The inspiration was a boy I worked with at the Hospice. He was 15 when I started working with him. His dad had died from liver cancer six months before we met. This boy had been badly affected by his dad’s death: he got kicked out of school, started having around with the wrong crowd, was struggling with his emotions, and had no support. He showed me what happens when a young person doesn't have the right support to find a way through grief. Fantastic! So, what is Apart of Me about? And what's the main mission of the project? Which solutions does Apart of Me offer? “So, we have four features in the game at the moment. The images below are probably the best way to demonstrate what we've done so far. Cave: which is about wisdom. The inside of the cave is a mysterious place for catching fireflies, exploring emotions, and hearing user stories from other young people around the world. Message in a bottle: which is about connection. Each day, a new bottle arrives on the island, containing a quest for the hero. These quests encourage face-to-face connections with your parent(s) so that you can co-curate a beautiful treasure-chest of memories, and check in with these memories whenever you want. This feature is a digital version of the 'memory box' practice commonly used in grief counselling. Waterfall: which is about peace. The Waterfall is a place to find some peace with our mindfulness meditations designed to support the grieving process. Perspective on death: What happens when we die? Explore this big question by searching for the mysterious rocks on the island, listen to perspectives old and new, and develop your understanding. How are those solutions specifically tailored to children? What is the motivation of the people behind this non-profit? Which parts of modern research regarding resilience are incorporated and how? “Well, first, it's crucial to say that resilience in grief is difficult to define. What do we mean by resilience? Do we mean feeling better, less sad, or happier? Grief takes so many different forms that it's unhelpful in my clinical opinion to map out a straight line with grief at one end and ‘end-of-grief’ at the other. I love the psychotherapist Patrick O’Malley’s simple clarity: that the depth of a person’s sadness in grief is often a measure of how much love was in that relationship. When somebody close to you dies, life takes on a new meaning, a new story and grief often become a part of that new story. “Most modern research into resilience takes into account the resilience of the system around the young person. So, a young person who has two very supportive parents, a supportive wider family, and a caring school, community or society which allows time and space for people to grieve… that young person is far more likely to find a way through the grief without having scars that are too deep. “So, in the game, we encourage the user to build relationships outside of the game with people they can trust. 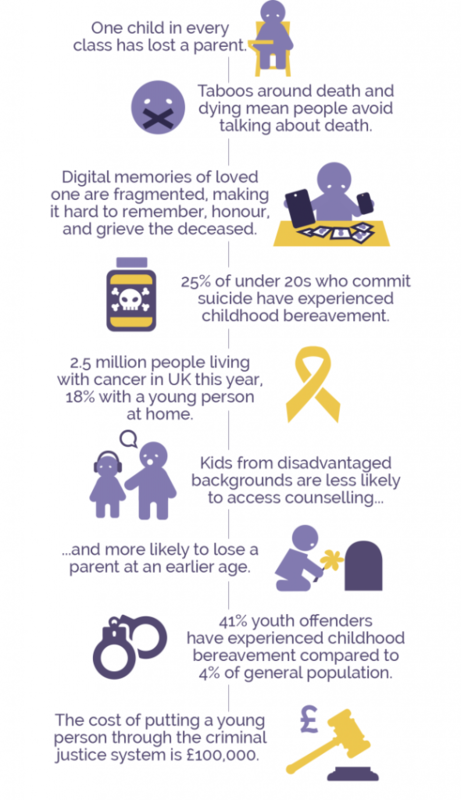 We are also designing features which allow bereaved young people to support each other in safe and meaningful ways. How do you plan to move the project forward? What are the next steps? 2019 update: Apart of Me is now freely available in the UK, EU, Canada, Australia and New Zealand from both the iOS App Store and on Google Play. Bounce Works are hoping to release Apart of Me in the US and other territories in the near future. They are also planning to create localised versions translated into various languages. If you're interested in helping to customise Apart of Me for young people in your country, please get in touch. 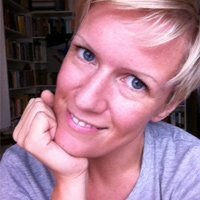 Tine is an artist, meditator, media engineer and student of happiness. If she is not traveling she's working on turning her rooftop terrace into an urban garden paradise. Find out more about her on: Instagram or Facebook.